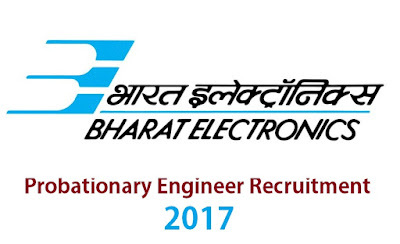 Bharath Electronics Limited is inviting applications for probationary engineers. The last date for application is May 11, 2017. The written exam will be held on July 2, 2017. The applications are called for the 66 vacancies. The vacancies for different branches of engineering are as follows. How to Apply for BEL Probationary Examination? The applying process can only be done through online.The fee remittance can be done online or through offline modes. For applying online, you need to upload images of your passport size photograph and signature. You may need certificates of Educational Qualification and Reservation related proofs for filling in various information while applying. The qualification required is BE/BTECH/BSc Engineering degree or equivalent AMIE/AMIETE in either of the following fields with 60% marks. There is relaxation for qualifying marks for SC/ST/Disabled. Those who are currently doing their fourth year in Engineering degree can also apply for BEL vacancies. The candidate should not have aged more than 25 years old as per April 1, 2017. This is only applicable for General category candidates. The reserved categories will have their age relaxation as per norms. The selection will be made by a written examination and interview. The written examination date for BHEL Probationary Engineer post is July 2. BEL Probationary Engineer Examination 2017 Examination Centre. There are 5 examination centres in which examinations will be held. They are Delhi, Bengaluru, Mumbai, Kolkata and Guwahati. The fee for applying for the exam is Rs.500. The fee can be remitted through online/offline. Online fee remittance has to be done through SBI Collect. No fees are needed for SC/ST/Disabled candidates.